Airian Carter Copas, left, Kevin McCarty, Christopher Copas, and Thomas Cayetano-Tamashiro pause and enjoy the view of Gold Creek Pond and Rampart Ridge while on a snowshoe trip with Northwest Adventure Center Dec. 30, 2010 at Snoqualmie Pass. The adventure center leads regular trips to the Alpine Lakes Wilderness area throughout the year. 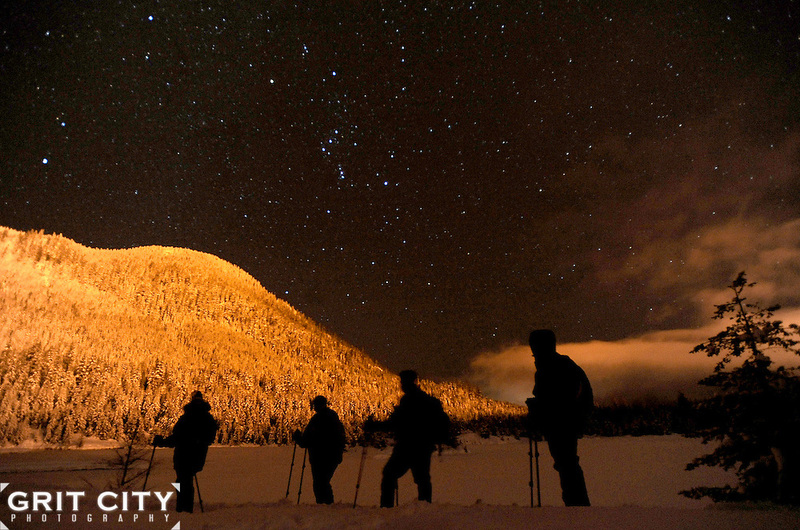 The next moonlight snowshoe trip to Gold Creek Pond will take place on Jan. 22.